May 2015 – Despite the rain lasting most of the day the wedding party’s spirits weren’t dampened, and they all had a great time. I’d like to thank Sarah, Aaron and their families and friends for making me feel welcome and allowing me to make a wedding video of their big day. Also a big thanks to Sharon and all the staff at The Coniston. 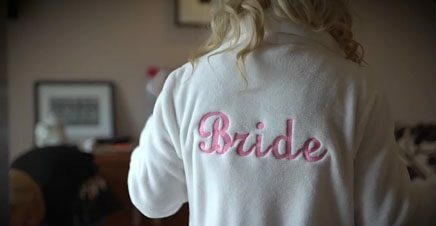 As a solo wedding videographer, I can ensure your wedding day is filmed with the minimum of fuss or intrusion, yet using the latest professional video and audio equipment. I hope you enjoy this trailer from The Coniston Hotel & Spa in Gargrave, near Skipton.